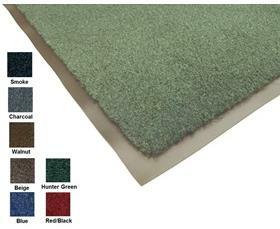 Color fast, non-staining olefin fiber is bonded to a solid vinyl base. Soaks up over 1 gallon of water per square yard. Custom lengths up to 60' - See Related Items tab for ordering information. Removes dirt and moisture with ease. Looks great too. Vinyl edge on all 4 sides. 3/8" thick. Available in Burgundy, Castellan Red, Charcoal, Black, Evergreen, Marlin Blue, Mid Gray, Navy Blue, Pebble Brown and Walnut. FOB Shipping Point. 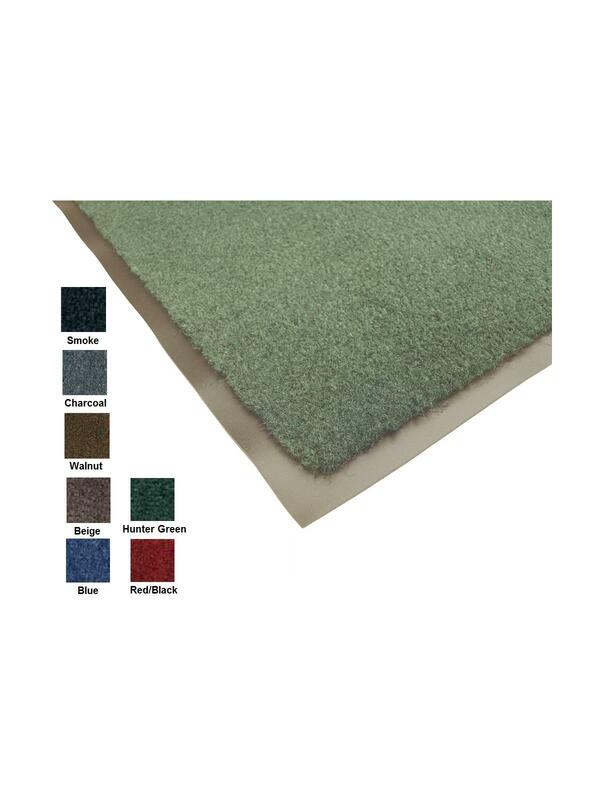 Click here to see more Carpet Matting Matting !